Foyle MLA Mark Durkan pictured with his late sister, Gay. A Derry politician has spoken candidly about the suicide of his sister on the fifth anniversary of her death. 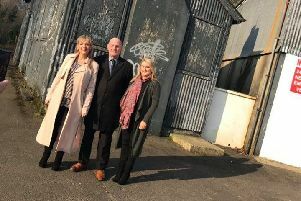 Foyle SDLP MLA Mark Durkan, a former minister in the power-sharing Stormont executive, used social media this week to also appeal for help for those with mental health issues. His sister Gay Durkan (28), a nurse at Altnagelvin Hospital, was found dead at her parents’ home in Derry in September 2011. In his online post,Mr Durkan wrote: “It’s hard to believe that it’s been five years since our amazing sister Gay left us. Mr Durkan later elaborated on his sister’s death, saying it was important people spoke about suicide if there was to be reduction in what he called “this scourge”. He said his sister touched thousands of lives through her private life and her work, being the youngest nursing sister in Altnagelvin at the time of her death. He said: “She was an absolutely brilliant girl; I would say that. She was my sister and she was my best friend. “You just need to look at the comments on Facebook to see how many lives she touched and the nature of those comments; all of them will refer to the craic that they had with her right back through her school days. Mr Durkan also expressed concern about problems accessing counselling services across the North.